Charles Booth (ASN 33676819) was born in 1924. 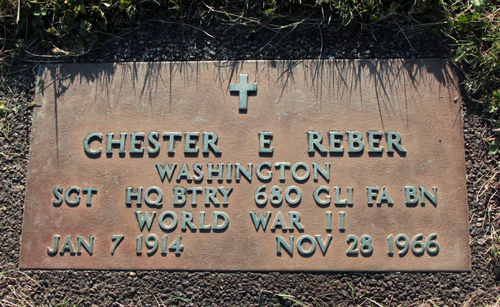 He was inducted in the Army on April 3, 1943 at Pittsburgh and was assigned to Battery HQ of the 680th GFAB. I have never had the chance to meet him and know nothing about his history. 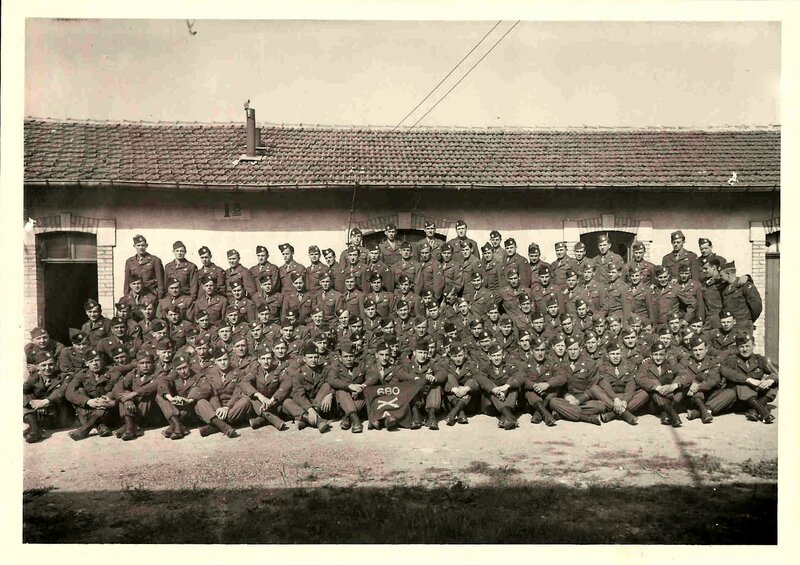 It is nevertheless in his memory and in memory of his comrades I have write this 680th GFAB chapter after being contacted by his grandson Adam. Hope you enjoy it. 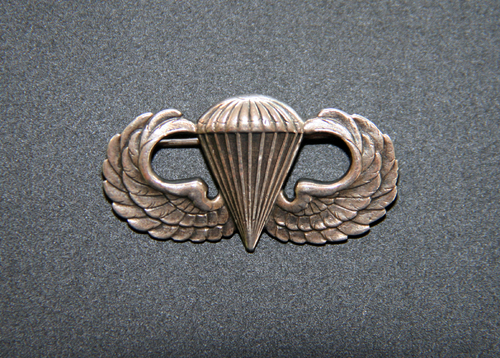 I have acquired on August 2018 this interesting Paratrooper qualification badge ("Wings") engraved by its initial owner. 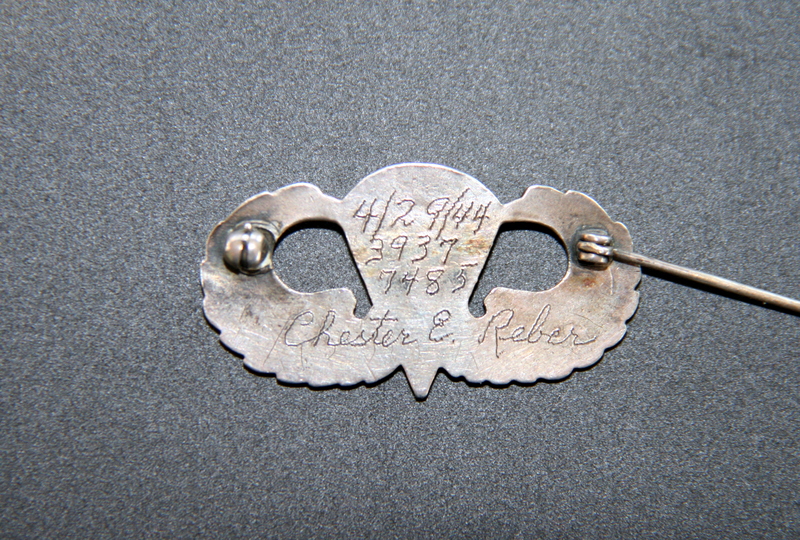 This gentleman has made engrave a date "4/29/44, a serial number "39377485" and his name "Chester E Reber". With these info, I have identified this man as a member of the 680th GFAB. 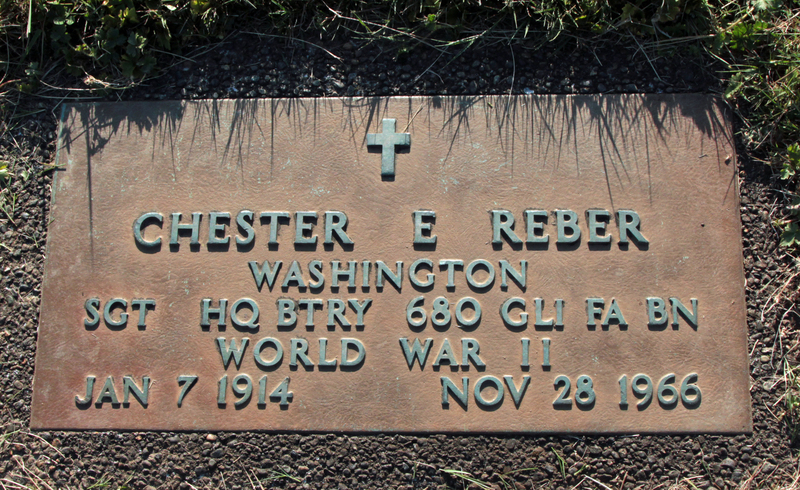 Son of Harry F REBER and Ella COOK, Chester E REBER was born on January 07, 1914 at Chehalis in Lewis County, Washington. He grows up and lived there when he was enlisted on March 24, 1941 at Tacoma, Washington. He received ASN 39377485. He married Lucille GRIEGER on October 12, 1941 at Seattle, King County, Washington and has had a son. 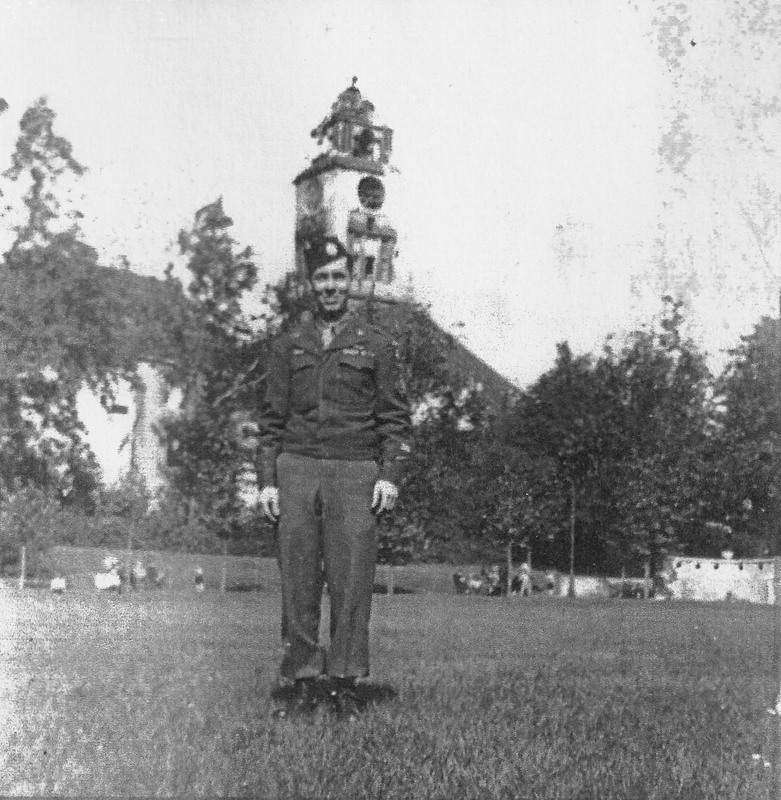 Sergent REBER joined the 680th Glider Field Artillery Battalion at unknown date and was assigned to Battery HQ & Service. The date on the brevet is probably the date of obtaining his paratrooper qualification. Unfortunately, this man is not listed on the 1947 Don Pay roster and I haven't found other info on him. He passed away on November 28, 1966 at the age of 52 years-old. He is buried at Cowlitz View Memorial Gardens, Kelso, Cowlitz County, Washington. George P. Sandison was born in East. Cleveland, Ohio on June 25, 1911 and grew up at 1181 North. Lockwood St. East. Cleveland, Ohio. He received his induction order on March 10, 1942 and entered in active service at Fort Thomas, Kentucky on March 23, 1942 and received ASN 35135645. 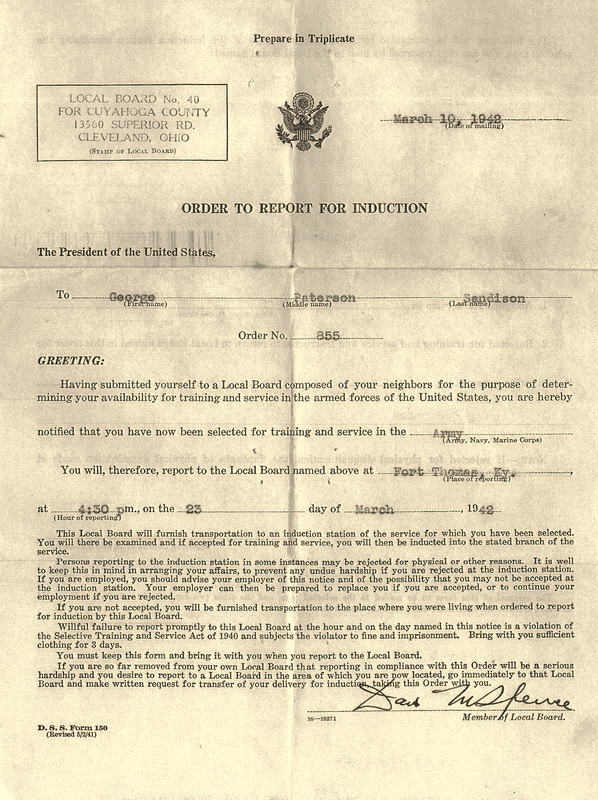 Induction order received by George Sandison on March 10, 1942. Then he was sent to Camp Claiborne, Louisiana on March 25, 1942 and was assigned to the HQ & HQ Battery / 321st Field Artillery Battalion who became the 321st Glider Field Artillery Battalion on October 14, 1942. 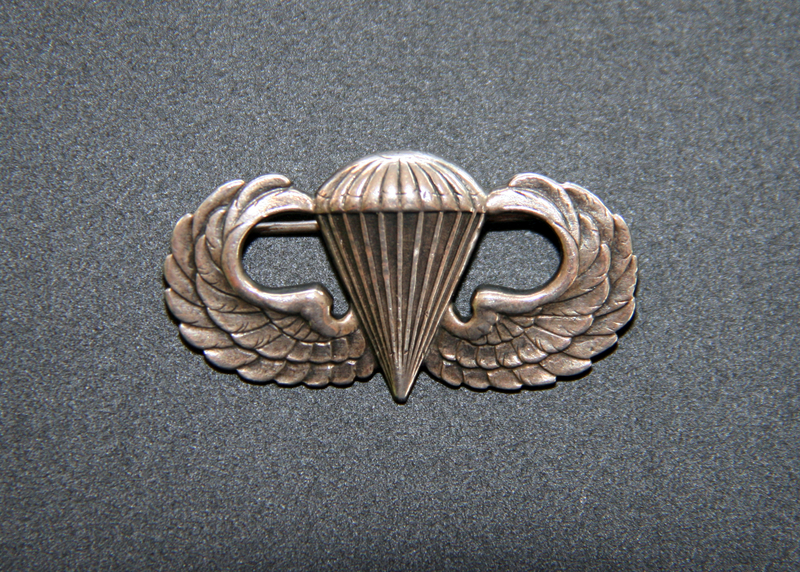 His unit was first attached to the 82nd Airborne Division. Then in the Fall of 1942 he went to Fort Bragg, North Carolina. 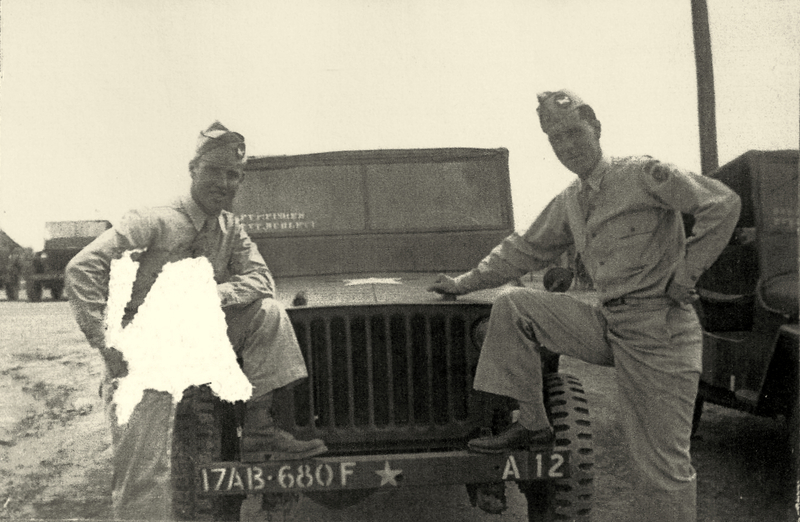 In early 1943, he was choosing to be member of the cadre for the future 680th Glider Field Artillery Battalion and was sent at Camp MacKall, North Carolina. The new artillery unit was created on March 10, 1943 and activated on April 15, under the command of Major Paul F Oswald. He formed up with the 17th and received his Gliderman qualification on January 9, 1944. Gliderman qualification certificate received by George on January 9, 1944 after having completed his advanced training at Camp MacKall. Another picture of George with an anonymous buddy. It was really at Camp MacKall or Camp Forrest according the uniforms. Of interest, note the the marking on the jeep's bumper. After that, the 17th Airborne was involved in the Tennessee maneuver then joined Camp Forrest, Tennessee on March 1944. George followed his division in England and participated to the battle of the bulge. 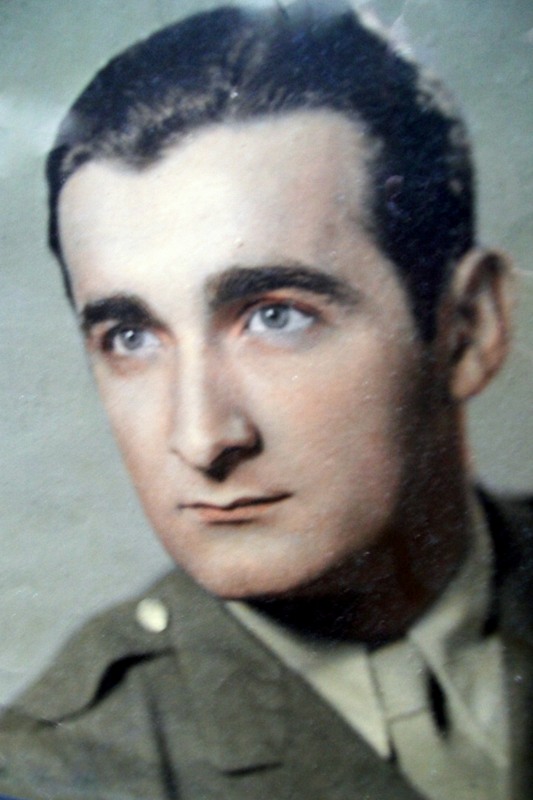 He also participated to operation Varsity but was wounded in action in the area of Oberhausen on April 14, 1945 by grenade's shrapnel that hit his hip. He was sent in Paris, to the be treated in the 203rd General Hospital, a huge hospital of more than 3500 beds. 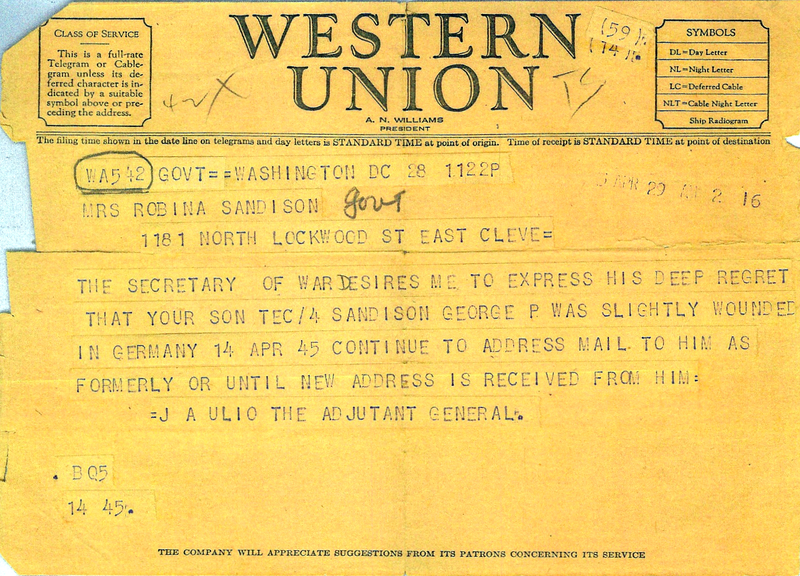 Copy of the telegram received by the mother of George after he was wound in Germany. 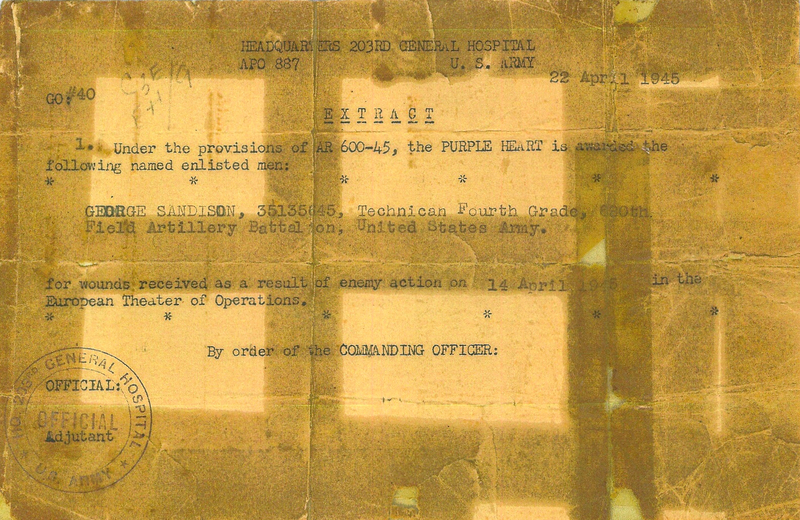 He was awarded the Purple Heart Medal on April 22, 1945 for this wound and stay in hospital for a month. 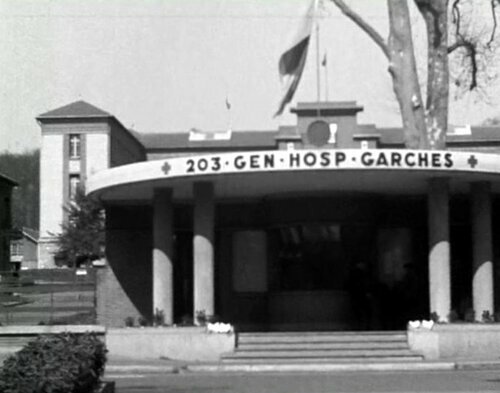 Two views of the 203rd General Hospital located in Garches, in the vicinity of Paris, circa september 1944 to May 1945. Copy of Purple Heart Medal awarded. 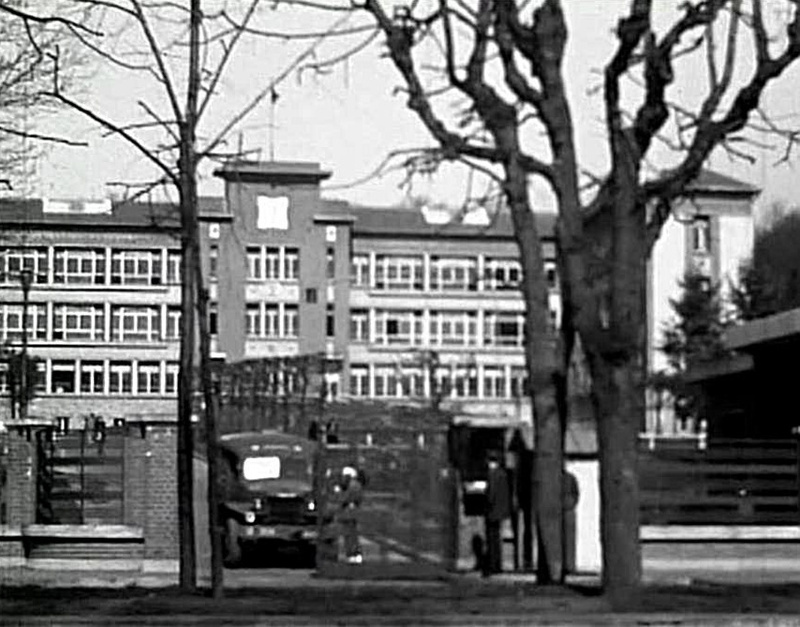 After the VE Day, the 17th Airborne Division served in occupation in Germany till July when it was send in France, in the area of Vittel. Battery A / 680th GFAB in Neufchateau (France), summer 1945. George is on the upper row, third from the left. 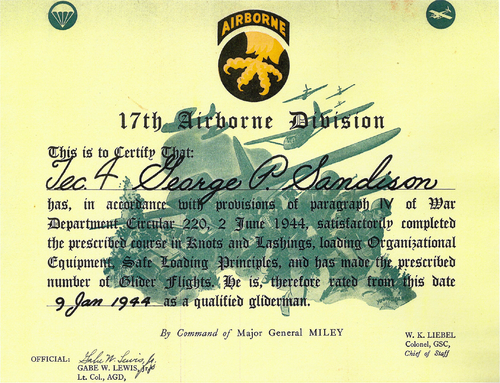 George was then transferred to 82nd Airborne Division and finally return home on November 30, 1945. 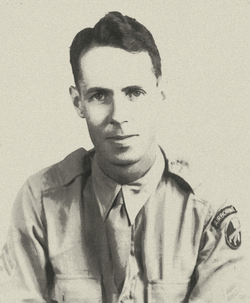 He arrived in country on December 18 and was discharged on December 22 at Indiantown (Gap Milt. Res. Penna.) after 45 month of duty. George in Germany, summer 1945, after being transferred in the 82nd Airborne Division. 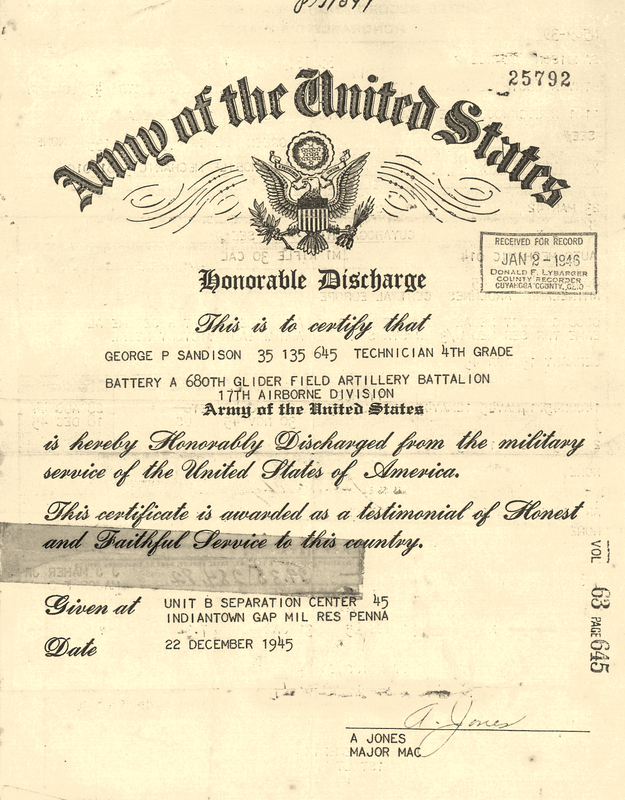 Honorable Discharge of George dated December 22, 1945. 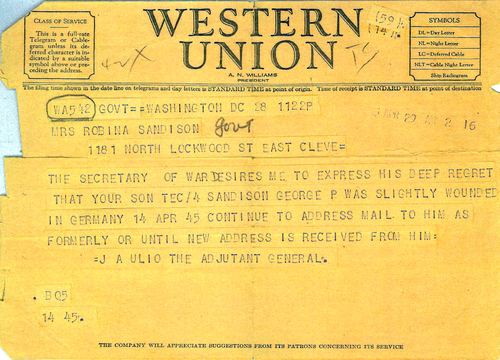 George participated to the Rhineland, Ardennes and Central Europe campaigns. He was awarded M1 Rifle .30 cal qualification, Gliderman qualification, Good Conduct Medal, Purple Heart Medal, American Theater Service Medal, European-African-Middle Eastern Campaign Medal with three bronze stars and one bronze arrowhead and Victory Medal. He was part of the Allied forces who liberated Europe again oppression and tyranny. He was member of the Greatest Generation ! He will be never forget ! George died in February 1985. This Tribute has been realized with the precious help of Jeanne Sandison, daughter of George. Many thanks for her help and kindness. Romeo J CASCHERA was born in 1914 in Pennsylvania and joined the US Army in 1933, at the age of 19 yrs-old. He was initially assigned to the 14th Infantry Regiment stationed at Fort William D. Davis located in Panama Canal Zone. He served later in the National Guard and when the National Guard was placed under Federal control, he received the Army Serial Number 20302867 (probably circa september 1940). He probably joined the 680th GFAB / 17th AB early after its activation (circa April 1943 ?) and will stay with this unit all around the WWII as he was awarded the European African, Middle Eastern Campaign with three battle stars (Ardennes, Rhineland and Central Europe) and one arrowhead (for operation Varsity). On March 24, 1945, during Operation Varsity, Romeo was separate from his unit and declared Missing in Action during a short time. He was awarded the Bronze Star Medal during WWII and was wounded by a german bullet in his leg. Photo realized "somewhere" in France on March 18, 1945, just six days before operation Varsity (with courtesy of Chris CASCHERA). 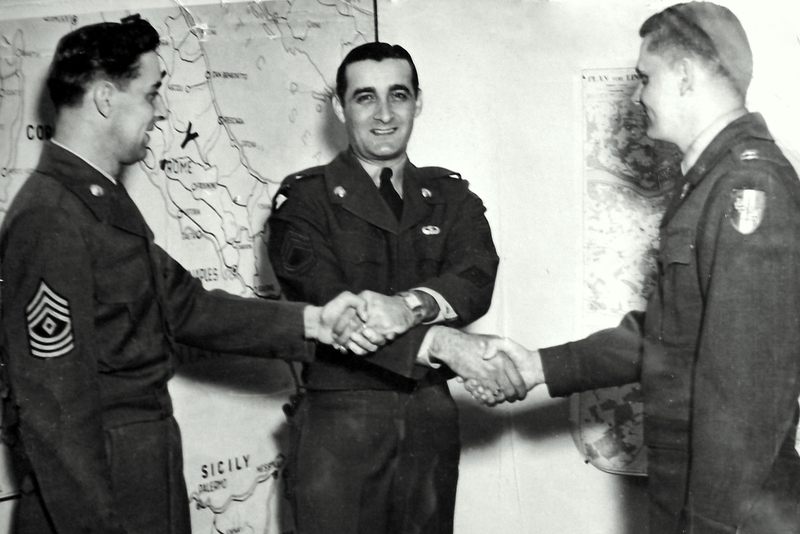 After the VE Day, he was transferred to the 101st Airborne Division and was discharged. He re enlisted on February 05, 1946 and was affected to the 285th and 57th MP (circa 1954) Companies. 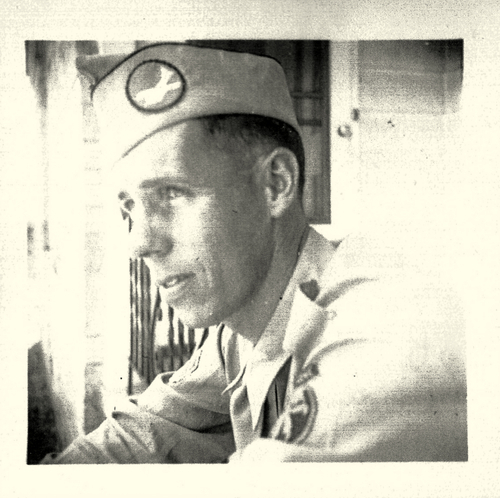 He later served in Korea (circa 1957) with the 7th MP Company of the 7th Infantry Division. 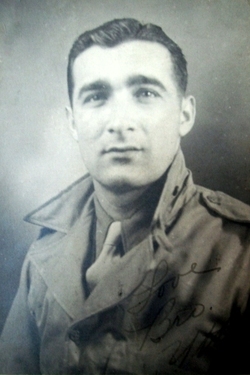 Romeo CASCHERA on duty after the WWII. Note the 101st Airborne shoulder sleeve insignia on his right shoulder (with courtesy of Chris CASCHERA). 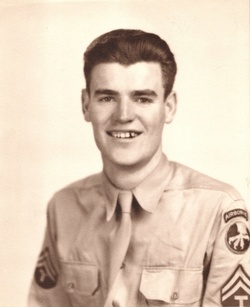 Mr CASCHERA was awarded wheeled driver badge, Sharpshooter First Class Gunner Badge (Rifle, Rifle – A and Rifle) and Expert Badge (Rifle, Machin Gun and Pistol), qualified Glider and Paratrooper, awarded Combat Infantryman Badge (CIB), Distinguished Unit Citation, Good Conduct Medal with four bronze staples, American Defense Medal with one Bronze Star, American Campaign Medal, European - African - Middle Eastern Campaign with three battle stars and one arrowhead, Purple Heart Medal, Bronze Star Medal with oak leaf and « V » device, Army of Occupation Medal and National Defense Service Medal (Korean War). He was retired from the Army on March 01, 1961 and passed away on 1984. This "GI's Tribute" was realized with the help and kindness of Chris CASCHERA, the son of Romeo.